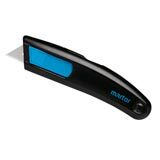 For smarter knives get Martor knives! 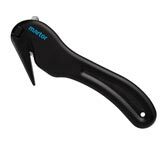 This truly 'smart' Martor safety knife for work has been built for the toughest jobs and has been made to last. The ingenious internal mechanism automatically returns the blade of this safety cutter to the safe position at the end of each cut, regardless of the position of the blade slider. The ergonomically designed plastic handle ensures operator comfort and improved productivity and is fitted with a wear-resistant metal skid at the blade outlet. 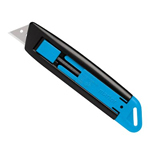 The blade is easy to change with no extra tools required. Do you want the safest safety knife money can buy? 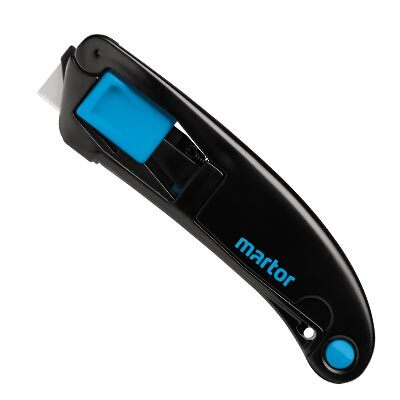 Try the Martego Safety Cutter. For a tough and reliable strap cutter why not try our Ruck-Zuck Packaging Opener? Designed for completely safe and trouble free work - Combi packaging Opener. Do you also need any Replacement Blades? You're bound to find the safety knife you need among the huge range that Davpack stocks - and you're unlikely to find it cheaper anywhere else! Call our Sales team now - you know it's the sharp thing to do!